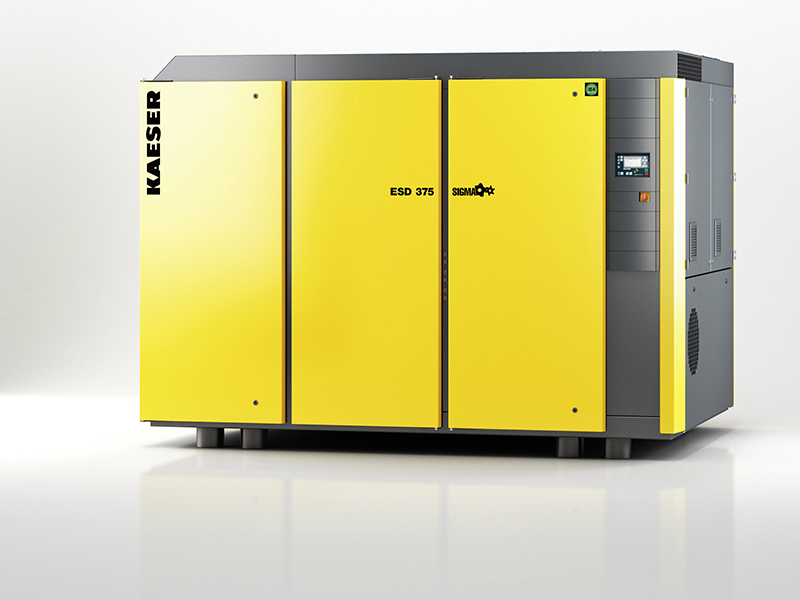 Kaeser Compressors is delivering higher flow rates for lower energy usage with its new ESD series rotary screw compressors. Equipped as standard with highly efficient IE4 motors, the latest generation of ESD series rotary screw compressors consume up to 8 percent less energy than previous models, yet deliver 6.5 percent higher flow rates, Kaeser says. "At the heart of every ESD system lies a flow-optimised rotary screw compressor block with energy-saving Sigma Profile rotors that allows the ESD series compressors to set the new standard when it comes to specific power," the company says. Current Australian GEMS regulations for 3 phase electric motors introduced in January 2015 require the use of IE3 class motors, so Kaeser says "the use of IE4 super premium efficiency motors underlines our continued commitment to providing maximum efficiency, not only to save energy, but also to assure compressor competitiveness well into the future". Adding to the ESD series’ overall energy savings and extended service life is an Electronic Thermal Management system that consistently controls the oil temperature within a constant, safe differential relative to the dew point (condensation temperature) – which also helps avoid unnecessarily high screw compressor block discharge temperatures. "Amazingly, a compressor converts 100 percent of its input drive energy into heat, of which 96 percent can be recovered and used for heating purposes – the associated savings benefit is therefore huge," Kaeser says. "With optional heat recovery equipment, a second Electronic Thermal Management system ensures optimum use of the heat energy that arises from the compression process. "For example, when all of the heat energy has been fed into the heat recovery system, the intelligent Sigma Control 2 controller recognises that cooling is no longer required from the system cooler – so it simply deactivates the fan at the fluid cooler, which in turn leads to further energy cost savings." The attention to detail in the new models is impressive. For instance, the fluid filter elements now sit in an aluminium housing, with no need for a sheet metal enclosure. The filter elements themselves are completely free of metal, which means they can be thermally disposed of without additional pre-treatment. The ESD series rotary screw compressors are available with drive powers of 200kW and 250kW, and produce flow rates from 8.6 to 44.5 m³/min, designed for pressures up to 15 bar.